Stylish 1970’s Danish dining chair by Actona. 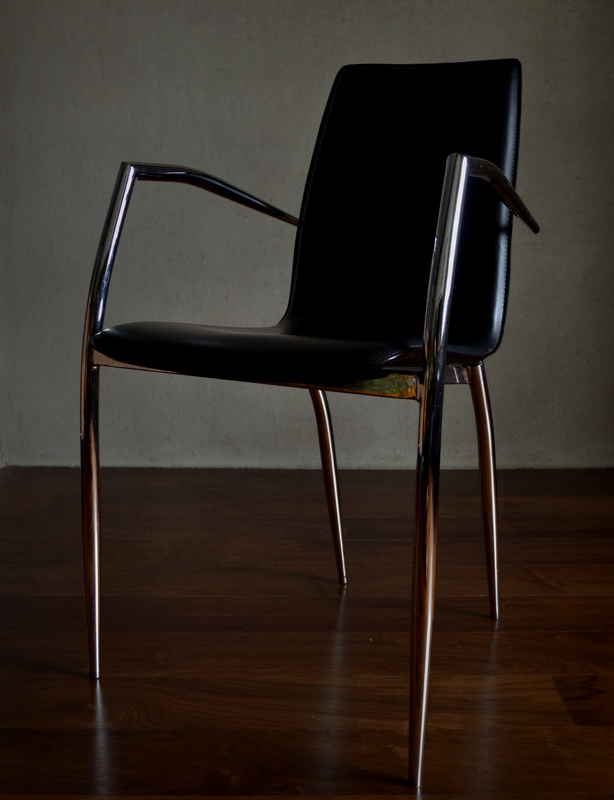 Classic Danish design with chrome legs, arms and black leather body. In overall good condition with no signs of tears, scratches or marks.